You can use built-in Cisco symbols to customize samples or design Cisco network diagrams, presented in 10+ Libraries like this: Cisco Basic, Cisco Buildings, Cisco IBM, Cisco LAN, Cisco WAN, Cisco Media, Cisco Optical, Cisco People, Cisco Routers, Cisco Security, Cisco Switches&Hub, Cisco Telepresence, etc. 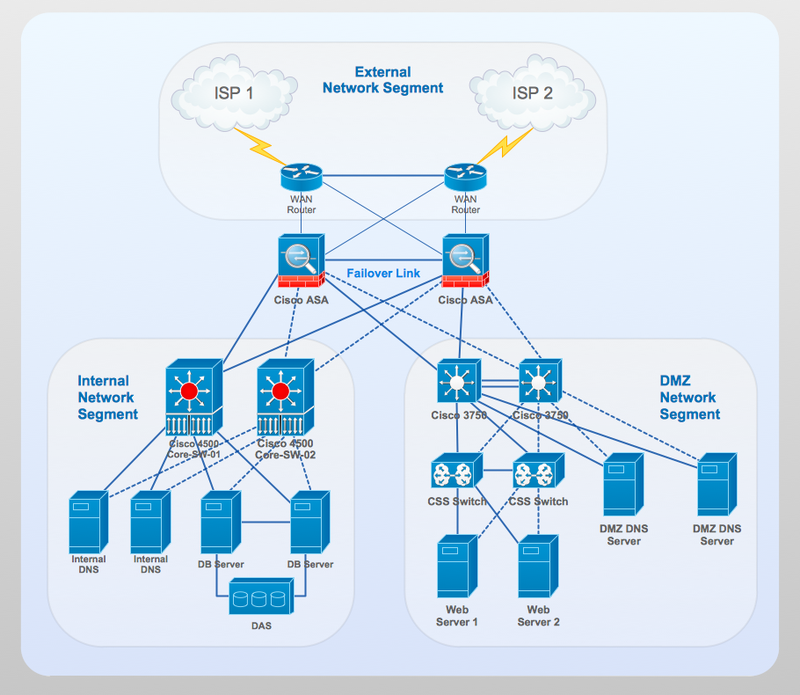 This Cisco network diagram sample is created using ConceptDraw DIAGRAM diagramming and vector drawing software enhanced with Computer & Networks solution from ConceptDraw Solution Park. Computer & Networks solution also provides libraries of Cisco symbols for network components and points, LAN and WAN, schematic and wiring drawings. Use ConceptDraw DIAGRAM program with of Computer & Networks solution as tool to draw professional-looking Cisco network architecture, topology, and design diagrams quickly and easily, and to clearly present and communicate it to IT and telecom engineers, designers, stakeholders and end-users.